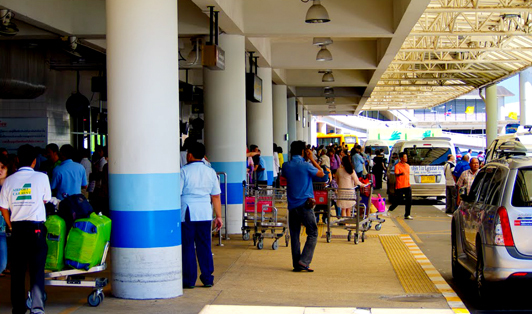 Phuket International Airport is a drop-off only zone following trips from Koh Samui, Koh Phangan, and Koh Tao. Approximate bus travel time is 5 hours. This is great for ferry travel customers who are leaving the same day, but please leave yourself enough time to make your scheduled flight.